Jasper White and friends: Who do we thank for multitudes of marshmallows? Wha’? My phone is ringing. Oh, this is embarrassing. I must not have turned off the ringer. Sorry! Looks like it’s my boss (BoFN co-founder Dave), so I’d better take this. Excuse me. Dave: Hey, Liz! Listening in on your FNiFood post and it’s good stuff. Really. But before you get too carried away with the food angle (they can always get that from your food for fun posts), I just want to remind you that you really need to play up the funny names here. It’s what we’re known for, what we’re about. So for sure keep the food, but don’t forget the funny names. ‘K? Liz: *blushing and a bit sheepish* Oh, right. Thanks for the remind. I do tend to get carried away when it comes to food and drink, don’t I? Funny names, got it. I’ll do what I can to make you proud. Dave: You’ll do fine, Liz. Keep up the good work! Will let you get back. Toodles! Ok, then. That was the boss man with a bit of direction for me. We’ll still talk about soup, etc, but wondering if I can have some fun with it. Dave’s a brainy kind of guy and loves a good word game. What if we turned this post into a game? What if I offered a list of (funny, of course) names along with a list of warming winter foods? You match the name to the food. Willing to give it a go? If you’re in (and I hope you are), go ahead and assign each name to a food. Answers at the bottom. Good luck and be brilliant! 1) Some claim that this Pakistani chef invented chicken tikka masala by improvising a sauce made from yogurt, cream, and spices. 2) The first American known to have written about San Antonio’s chili carne, way back in 1926. 3) Wrote 50 Chowders, a cookbook which noted that the first and oldest-known printed fish chowder recipe appeared in the Boston Evening Post in 1751. 5) When looking for ways to speed marshmallow production (a noble goal if there ever was one), this inventor discovered a method to extrude batters and dough. His extrusion process revolutionized marshmallow making, paving the way for mass marshmallows. 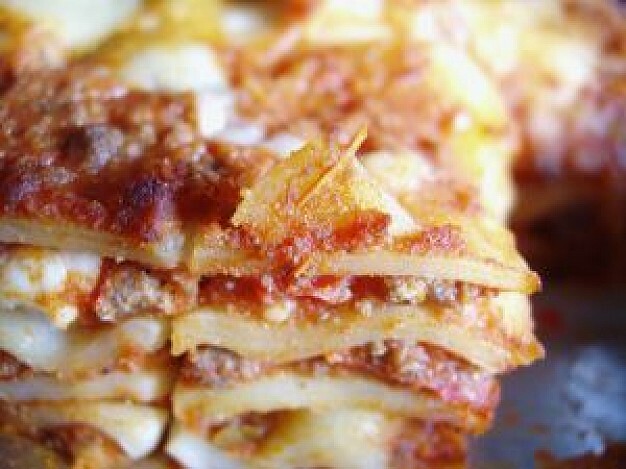 6) An Italian living in the 1300s, credited with inventing lasagna. Owner of deLizious Food Communications. Projects include recipe development, editing, and formatting; food writing and editing; nutrition analysis; public speaking and cooking instruction. Past and present clients: General Mills, Green Giant Fresh, Hormel, Minnesota Beef Council, Minnesota Soybean, Minnesota Pork Producers, Norwood Promotional Products, Pillsbury, Tad Ware, and Weight Watchers Publishing. Mother of two young girls. 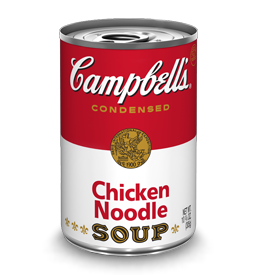 This entry was posted in funny names in food and tagged Campbell's soup, chicken tikka masala, chili con carne, chowder, deLizious, food for fun, lasagna, marshmallows. Bookmark the permalink. 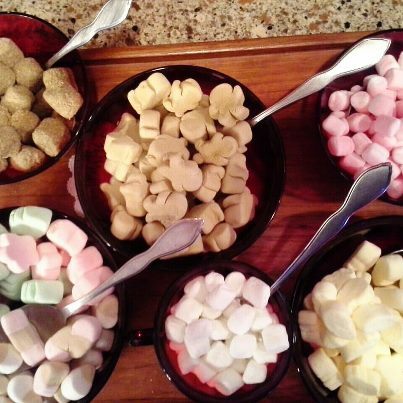 25 Responses to Jasper White and friends: Who do we thank for multitudes of marshmallows?
. . . part Julia Child, part kooky sit com, part game show, Liz sets this multi-genre mix on simmer then serves up a fabulously fun food fantasia . . .
. . . when the BoFN King makes a cameo, things start to go wild, wooly and whacky in Liz’s latest culinary escapade . . .
. . . if only Amb could read this, she’d do a funny face, blow in her straw and make bubbles in her banana daiquiri . . .
. . . I put John T. Dorrance for chicken masala and Jasper White for lasagna . . . what did you put? . . .
cracking me up per usual, diddy. “Wild, wooly, and whacky” is indeed the only way to describe how it is when the BoFN king comes round. Hard task master, that one. Well, you did say Italian. Sounds Italian to me! God bless John T. Dorrance. His tomato soup has warmed many a snowy day. And Alex Doumak is patron saint of s’mores, right? So much good info here. Including the fact that Dave ends his phone calls with “toodles”. Fun quiz! I hope we get a post about J.C Clopper in the future! He seems a “toodles” guy. Are you saying he doesn’t normally end his phone conversations this way? Mr. Clopper is your man, then? Duly noted. Thanks, Mr. Arto! learning new things about you all the time, Dave! if clopper’s middle name was ‘hod’, i would marry him in a second. We need a like button for comments. Like, like, like! Marshmallow extrusion is one of the best phrases I’ve encountered in a long time. As for the names, I think I was only 2 for 6 as well, but I’m glad I’ve learned some new things! you could look into that marshmallow extrusion process, Dave. Am sure it would have all sorts of practical implications in your life. Joe Btfsplk: Oh Vowels, Where Art Thou? Dave and Arto in the Comment Sections: Let’s Guess!! !